Thick vs. 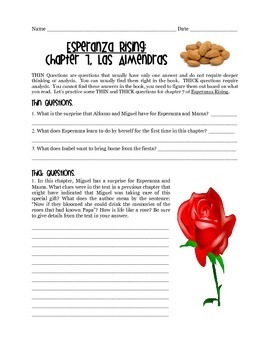 Thin questions based on the reading of chapter 7 in Esperanza Rising by Pam Munoz Ryan. Students answer three of each before writing their own in a mini-quiz for a classmate. Please check out the rest of my Esperanza products.